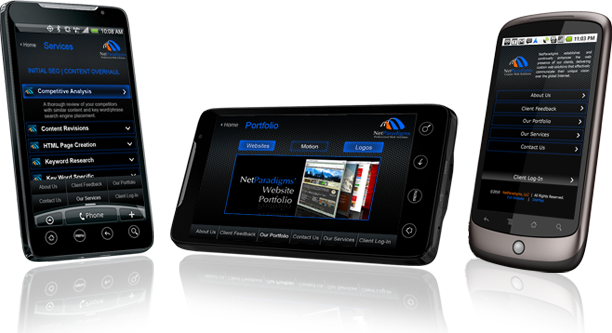 Android Optimized Website Design and Custom Smartphone Web Development Mobile compatible site. As a business owner you want to be up-to-date on your marketing options! Mobile marketing is certain to beat the Internet, TV, radio, print and billboards. If you don’t have a Droid optimized website already, you may be losing a large number of possible clients. Mobile Internet browsing is estimated to actually exceed normal PC internet browsing. If you currently don’t have a Droid website design, then you are not being accessed by many of your potential clients.